We are just a few weeks away from training camp and the Bruins appear to have their forward group in order. The major question remaining is how the lines shake out when the season starts. The team experienced a lot of turnover this summer, losing five of their 12 forwards from last year, while also adding a number of new faces to the mix. These new arrivals will give the coaching staff a number of interesting options when it comes to piecing together the lines. So who will replace Milan Lucic? Who will earn the coveted spot alongside Patrice Bergeron and Brad Marchand? 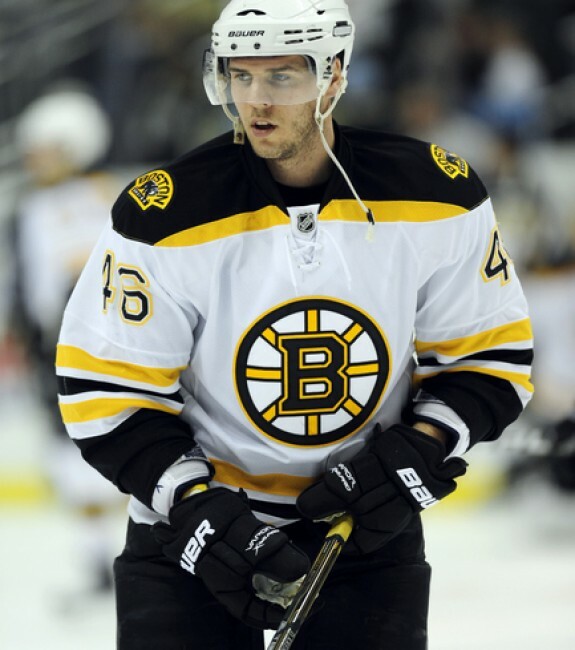 Who will replace Daniel Paille and Gregory Campbell on the fourth line? With these questions in mind, here’s the ideal line combos for the Boston Bruins entering the 2015-16 season. Prior to last season, David Krejci had been able to get the most out of Lucic and his skill set. The team struggled to find offensive consistency last year, but they will be hoping that Krejci will be able to draw out the best in Beleskey, who will slot into Lucic’s spot. If Krejci can enable Beleskey to build upon the career numbers he put up in Anaheim in 2014-15, this first line won’t miss a beat. 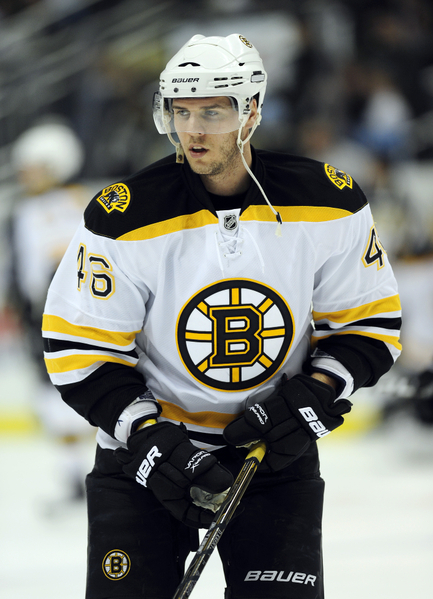 On Krejci’s other flank, Loui Eriksson will look to build on last season’s resurgence. After a rough first campaign in Boston, Eriksson began to show signs of life last year, potting 22 goals to go along with 25 assists. Playing with a playmaker like Krejci and a finisher like Beleskey, Eriksson’s numbers should be even better. Claude Julien will also appreciate having Eriksson on this line, as he is a stellar defensive forward, providing some protection to his more offensively inclined linemates. For the sake of numbering the lines, this is technically the second line, but line 1A and 1B would be far more appropriate. The line is centered by the reigning Frank J. Selke Trophy winner, which suggests the line is more defensive-minded, and therefore less of a scoring line. However, Bergeron and Marchand also represent the team’s top two scorers from last year. 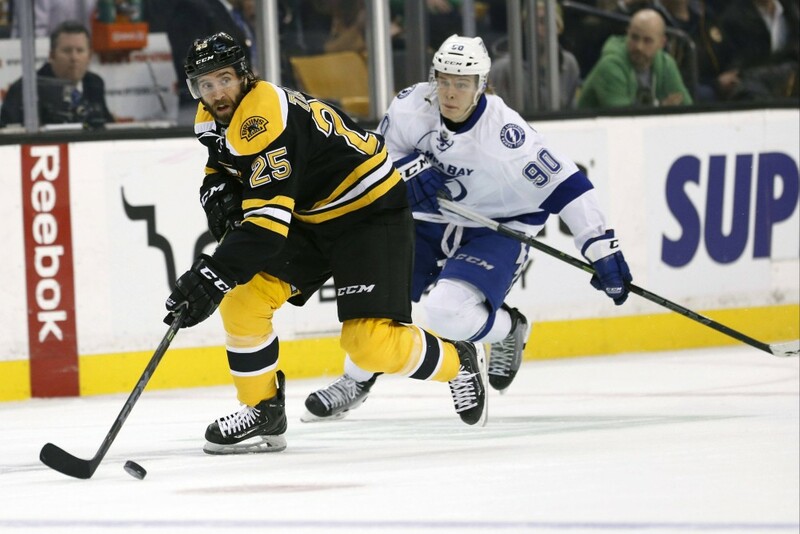 Bergeron led the team in points with 55 (23 goals, 32 assists), while Marchand led the team in goals with 24. The two have developed strong chemistry over the past five seasons, making it a near-lock that they will be linemates again this season. Connolly will be the newcomer, entering his first full season in Boston. He didn’t get much of a chance to make an impact last year, suffering an injury in his first practice with the team after coming to the Bruins in a trade deadline deal. Connolly is willing to grind out shifts, but also possesses a top notch shot, making him a legitimate goal scoring threat. The opportunity to pair Bergeron with two of the deadliest shots on the team is too good to pass up, making this line dangerous at both ends of the rink. When they were first paired with Lucic last year, Ryan Spooner and David Pastrnak elevated the power forward’s game to a new level, unlocking a great deal of their own talent in the process. By no means is Jimmy Hayes the next Lucic, but he’s a big, physical winger that drives the net and is strong in possession. Hayes presence should create space for the two youngsters, and, in turn, they will force Hayes to bring his top speed, as both Spooner and Pastrnak can fly. 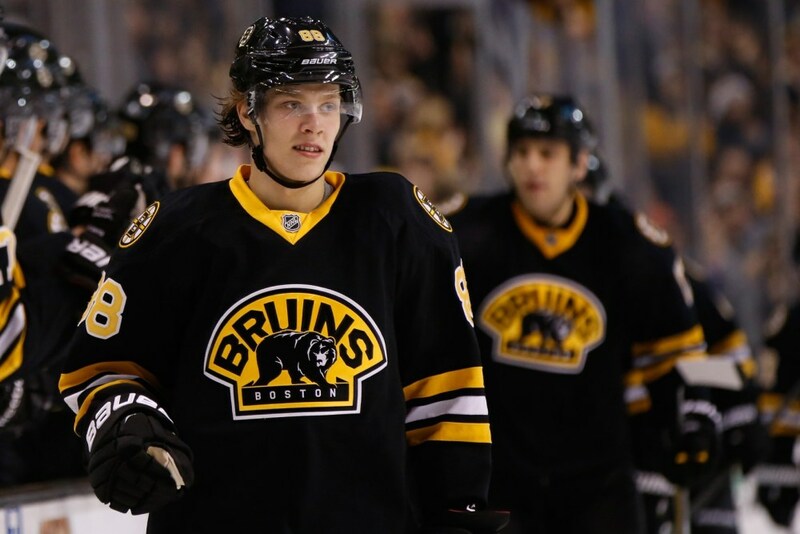 Spooner’s creavity will be on full display with a top talent like Pastrnak on one wing and a power forward providing a change of pace on the other. 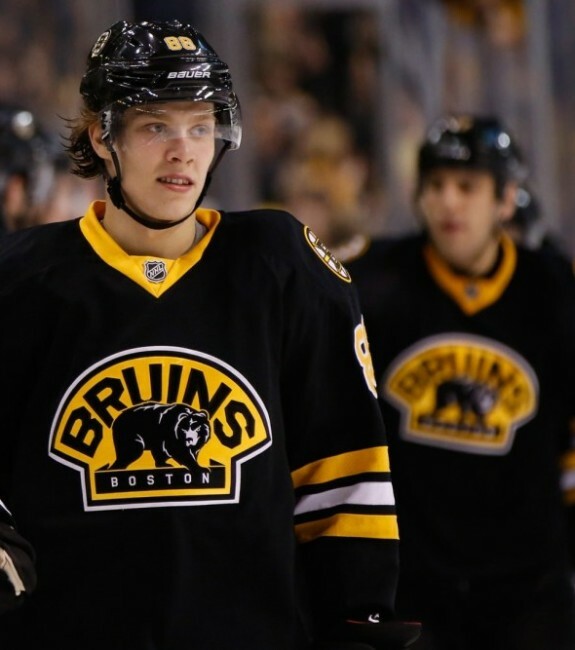 Pastrnak’s dynamic offensive tool set should help create plenty of chances, allowing Hayes to utilize his size and strength to capitalize on countless rebounds throughout the season. For a team that struggled to finish, Hayes ability to score garbage goals will be crucial. Chris Kelly is a third line center, pushed to the fourth line by the surprising forward depth Boston has cultivated. Like Kelly, Talbot is a center by trade. Talbot, who arrived here from Colorado at the trade deadline, is more of your prototypical fourth liner, as he is more of a physical, grind-it-out forward than Kelly. Fortunately, both Kelly and Talbot are versatile enough to shift out to the wing, creating a spot for newcomer Joonas Kemppainen. Playing his natural position (center), should make transitioning to the NHL from Finland slightly easier for Kemppainen. It is not difficult to imagine a scenario where Julien and his staff ease Kemppainen into the NHL, giving Zac Rinaldo an opportunity to play at the same time. If Rinaldo dresses, Talbot or, more likely, Kelly would slot in at center. Although that may happen at times throughout the season, Kelly, Kemppainen, and Talbot represent the most talented fourth line Boston can ice. What are your preferred line combinations prior to training camp? Did I miss a dark horse candidate that you think will make the team? Let me know what you think in the comments below or on twitter.